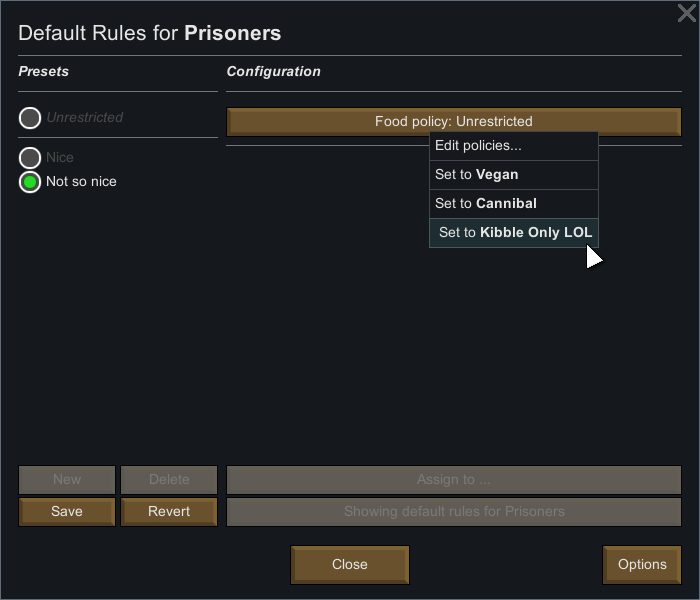 Tired of feeding your prisoners Lavish Meals? Need your animal handlers to stop bonding with livestock? 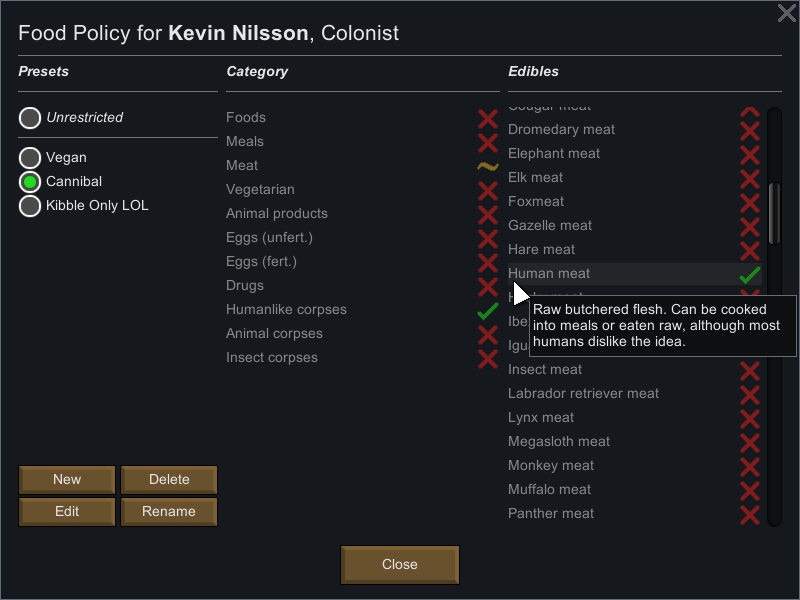 Want a colonist to avoid getting a new lover? Have a worker on construction duty but shouldn’t be building artistic furniture? 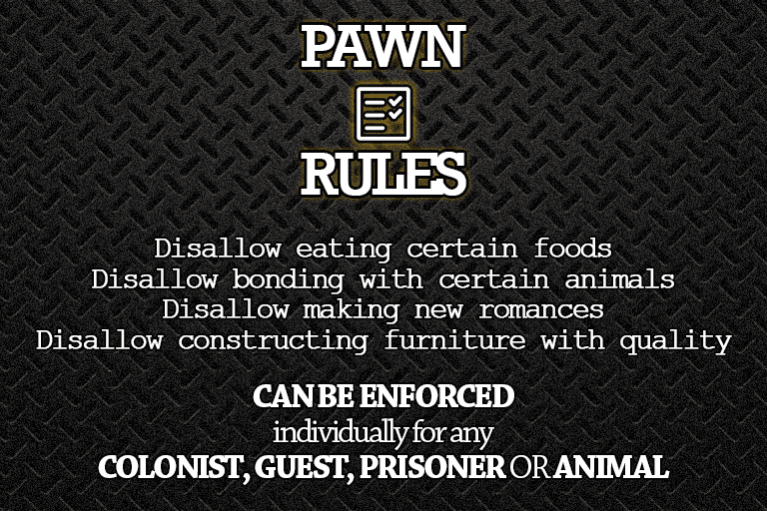 Pawn Rules allows custom rules to be assigned individually to your colonists, animals, guests and prisoners. Disallow bonding with certain animals. Disallow constructing items that have a quality level. Any of these rules can be disabled and hidden from the rules window. Rules presets and defaults can be imported and exported between games. 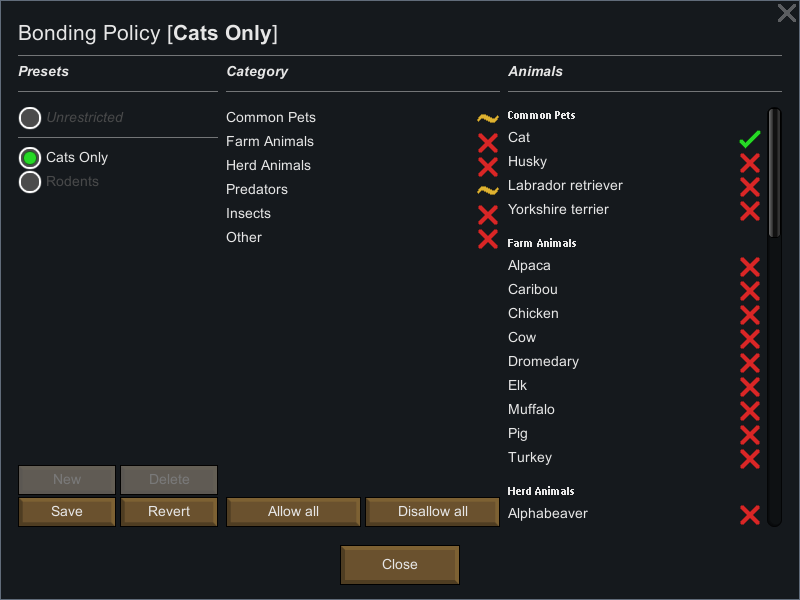 When you’ve been playing RimWorld for a while, there are some things that you just want to customize. 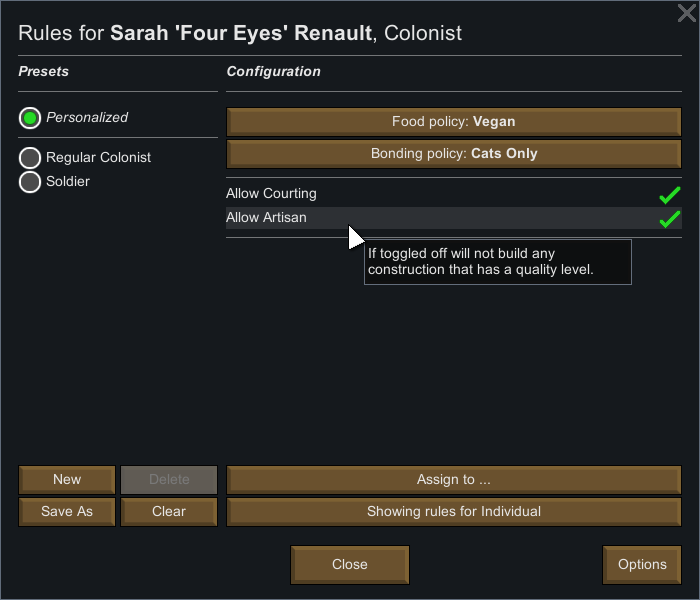 The Pawn Rules Mod allows you to tweak some more options to give you that extra customization. Get rid of some behaviors that might be bugging you!